Alright all. I'm going to video review this because I couldn't accurately type my thoughts on this. (Also with the amount of ums and losing my train of thought... maybe I couldn't accurately speak my thoughts on this book either...) Warning: I accidentally curse once or twice and make allusions to certain activities 14 year old boys enjoy. So maybe not work friendly? Second warning: I ramble and get long winded.... SORRY! 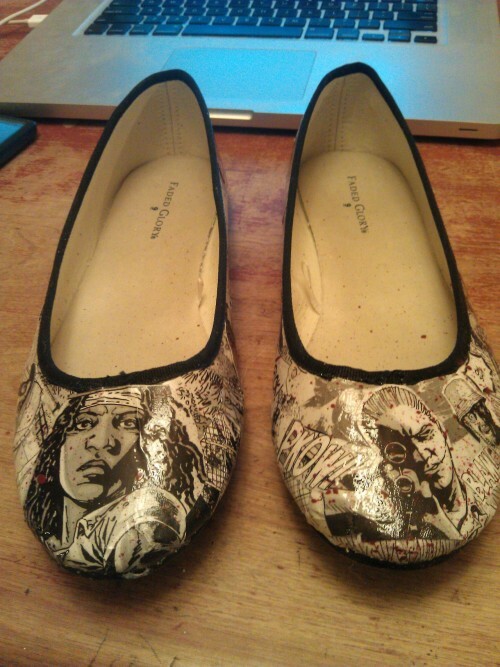 Bonus: Here's the shoes I mentioned at the end of the video (as a prize for those of you who stuck around til the end) The Walking Dead comic book shoes I made this weekend yaaay! Awe, I'm sorry this book has become an obligation for you. I read this one as a teen and freaking loved it, it got passed around my book of friends so much, none of us knew where it ended up. And I felt like the movie pretty much sucked. I can understand this not working so well when you're a bit older though, makes me NOT want to reread it, actually. I did like the video review though! And those shoes are freaking amazing! How did you do it? Decoupage or something? 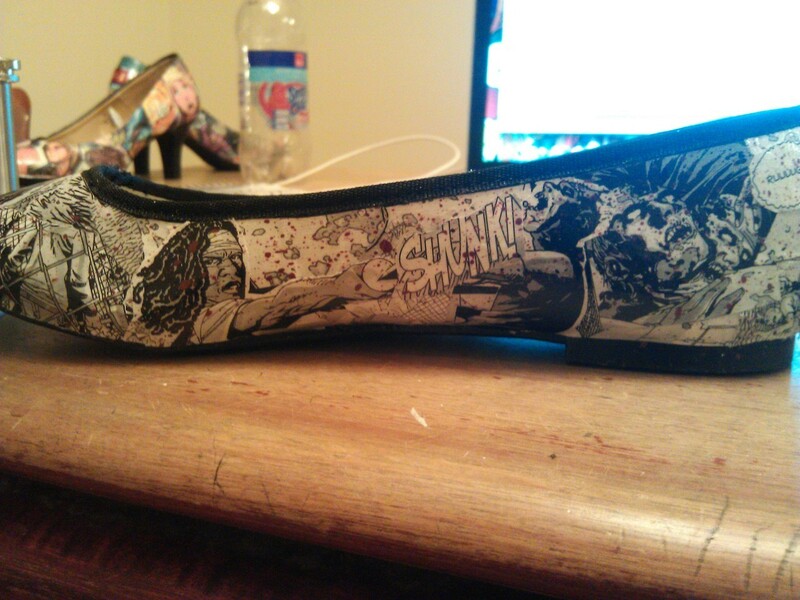 I wanna make myself some Fables shoes! Well hopefully if you reread it- it would be with nostalgia of re experiencing a favorite book instead of with my slightly cynical view of every thing.